See scan - very good condition. Large size. 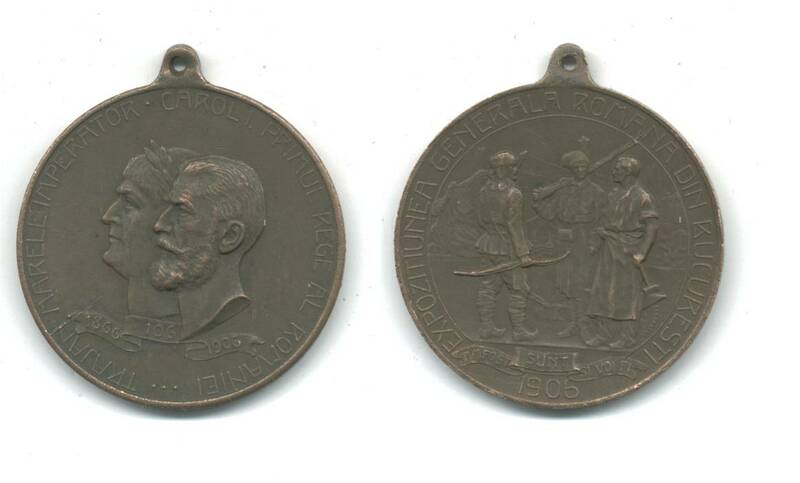 Very nice and rare Rumania / Romanian Royal medal given to people that attended the Roman exposition during 1906. Front shows the portrait of the Romanian King and the Roman Emperor Traian. Extremely nice and rare piece.